The Elliot Slip Dress is one of the stunning ethical options in our new collection. Made from non-violent and ethical silk crepe de chine, this dress feels so luxurious against the skin yet is kinder to the planet. The design draws upon a minimal style with echoes from the 1920s and the era’s iconic bias cut dresses. Featuring a modern princess seam that runs over the bust, our ethical wedding dress also uses a soft piping effect around the waist. 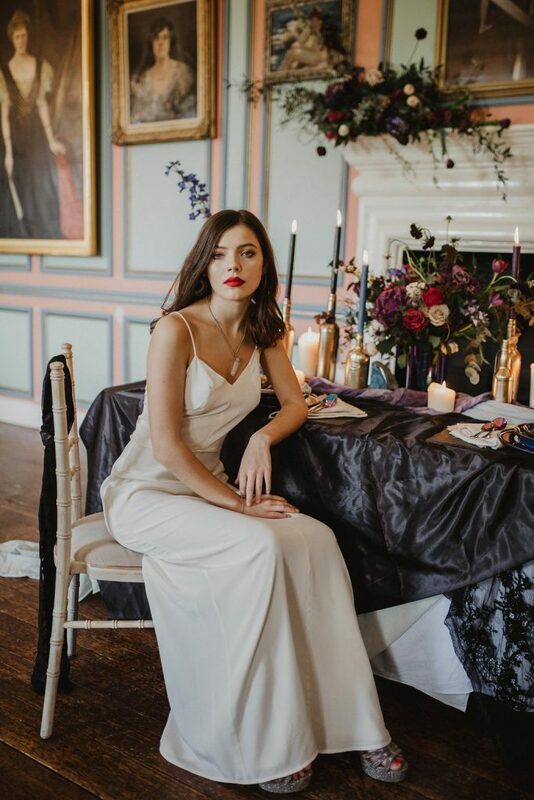 The rest of the wedding dress then falls into a softly draped a-line, finished with a concealed zip at the back and delicate spaghetti style straps. 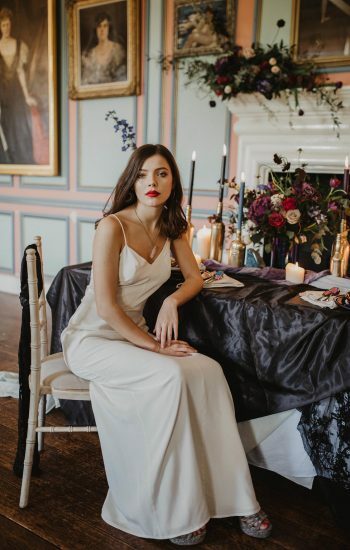 Most importantly, our Elliot Slip Dress is not just for your wedding day. 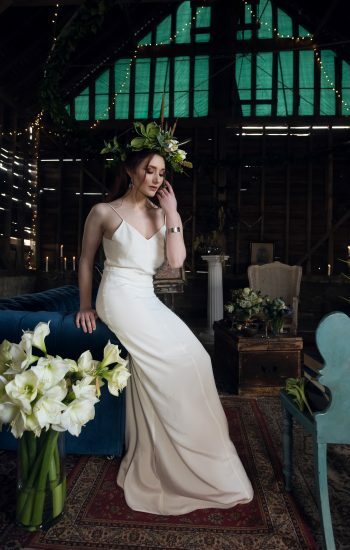 When designing an ethical wedding dress we wanted to ensure this dress was wearable. We believe it will take you from your ceremony and reception to your honeymoon and beyond. It’s a classic, chic slip dress that you can mix and match with other clothes in your wardrobe. 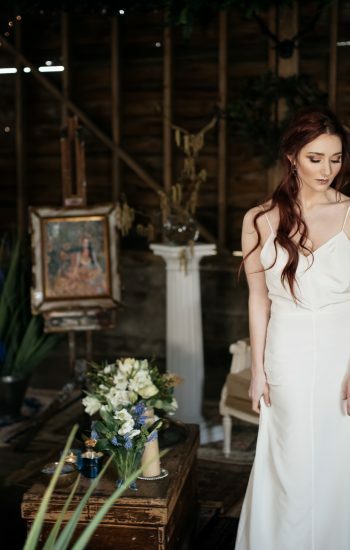 The Elliot ethical wedding dress is available in ivory silk crepe de chine. Our specialty silk fabric is sourced from Europe, where our supplier works closely with certified sites in India and China who not only produce non-violent silk but also ensure fair labour and wages. The silk crepe de chine has a wonderful soft glow to it, without being too shiny. It is self-lined with the same fabric for extra luxury and an opaque finish. You can see more style ideas in a blog post over at Magpie Wedding. Left and Centre Photography by Markuza Photography. 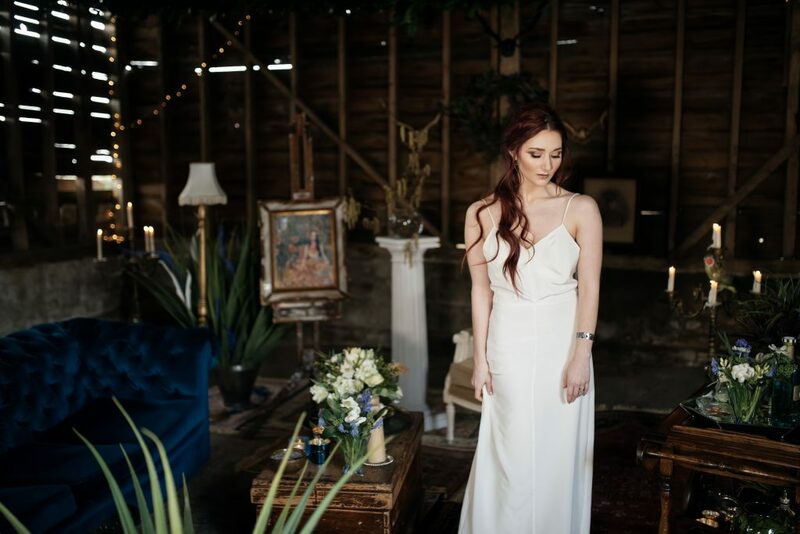 The Elliot Slip Dress package includes one custom made ethical wedding dress in our design (using your custom measurements) and costs £1470. This price includes fitting sessions and alterations, which will ensure your wedding dress fits you perfectly from waist to hem. To read more about our package details please click here. To order the Elliot Slip Dress, make an appointment to try it on in our studio or to make an enquiry please email hello@riverelliot.com. (Above photo by Camilla Andrea Photography).